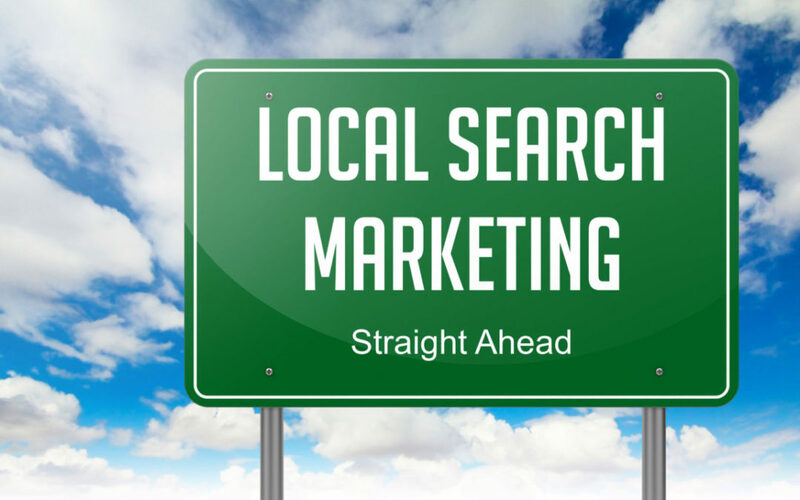 Are you aware of the importance of local SEO for your business? When we perform a search, most of the times it’s localised to the area where we live. For this reason, we prefer results that are related to this area. As Google has information about our location, even if the search doesn’t contain any words related to the location, search engines understand that we will be more happy receiving local results. However, there are many companies that are nearby which offer similar services or products. So to appear as a relevant local result, we need to work on our local SEO. So where to start? Keep reading! As revealed by the previous stats, the importance of local SEO is clear. The “2017 Local Search Ranking Factors” report performed by Moz last April 2017, revealed some of the most important factors for your local online presence, as seen on the images below. Links are one of the most decisive ranking factors in general, but also when it comes to local SEO. Links highly influence the appearance in the local pack and the organic results. It is crucial to win quality natural links that point to your site with the right anchor text. Links bring traffic, increase reputation and build your visibility. The anchor text is the text that contains the link. The text used needs to be relevant to the page that is linking to. For a more detailed information, Ahrefs has a detailed blog post about anchor text. Having Google My Business is basic for local SEO and to be able to appear at the local pack. Perform the keyword research taking into consideration the chosen area. Moreover, it is also important to create content that contains keywords mentioning the areas that you are serving/targeting; always being careful with duplicate content as each of the pages needs to have unique content that targets specific user intent. It is imperative using the targeted keyword in the title, URL, h1, meta description, alt tag and within the text. As we were mentioned in our previous article “6 tips to boost your eCommerce online conversion” , reviews are great to increase conversion rate. In general, they are necessary as they bring credibility to your products/services and brand. While all types of reviews are beneficial, the reviews appearing on your Google My Business are the most relevant to improving your local online presence. It is paramount to follow the “Google Guidelines”. Google wants genuine reviews that are not paid or in exchange for anything. How to ask for reviews? There are many ways to ask for reviews, but I believe the best way is asking for them yourself in person, taking the opportunity in a meeting, and just bring the topic up. Then send a reminder by email with the link to the reviews. Just don’t ask for many at the same time, or Google will think that they are spammy. In addition, you can also add a “leave a review” link on your website and in your email signature. Don’t be scared of bad comments, as they can help you improve your service /product. Just constantly monitor and try to answer them all. Citations are important for increasing your authority online, however, they have been reducing their importance in their importance in favor of links. Nevertheless, they will still help you appear in local searches. Having correct and consistent data online is key, as differing data will confuse search engines. Ensure that your name, address and phone number is the same everywhere. Google is getting more clever thanks to the use of artificial intelligence in their algorithms, and can analyse what users are doing once they arrive at your site. For this reason, user experience and user interface are vital. The results shown will be those offering the best experience to users. This fact affects how your site ranks. For example, a good practice for local SEO can be having your phone number accessible in the header and footer, and that it is clickable on mobile devices. Local brand awareness it is also important. For this reason making your brand resonate in as many places as possible will give you more authority. But, this doesn’t mean going crazy creating Social Media profiles; bear in mind that each Social Media channel requires a big effort. Start with one, and once you master it, start with another. Choose your presence wisely in Social Media. And last but not least, personalisation. As Google, tries to give more personalised answers with the need of fewer clicks, structured data markup is becoming imperative. Created by the major search engines, Schema markup launched in 2011 with the idea of giving developers the code to markup products, people, organizations, and so on, together with its hierarchy. This gives search engines a deeper understanding about the content that is on your site. Websites with the appropriated markup will have a benefit when communicating with search engines. Start optimising for local searches now!